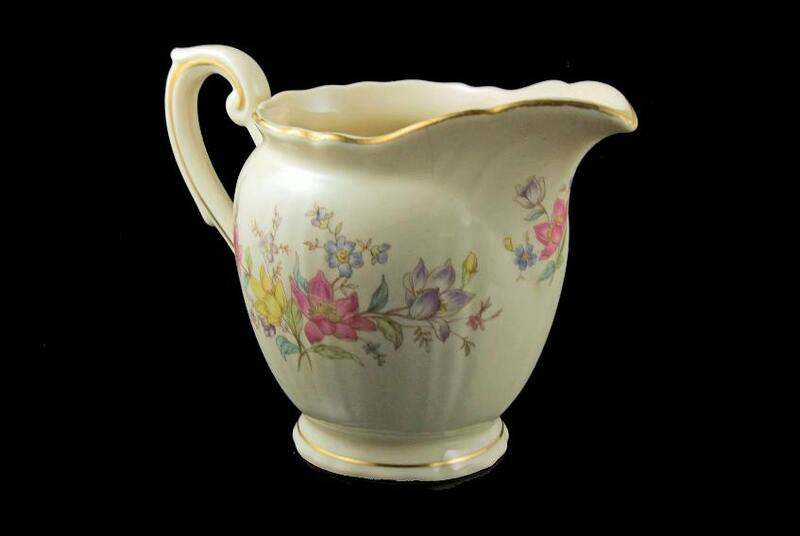 A lovely creamer by Syracuse China. 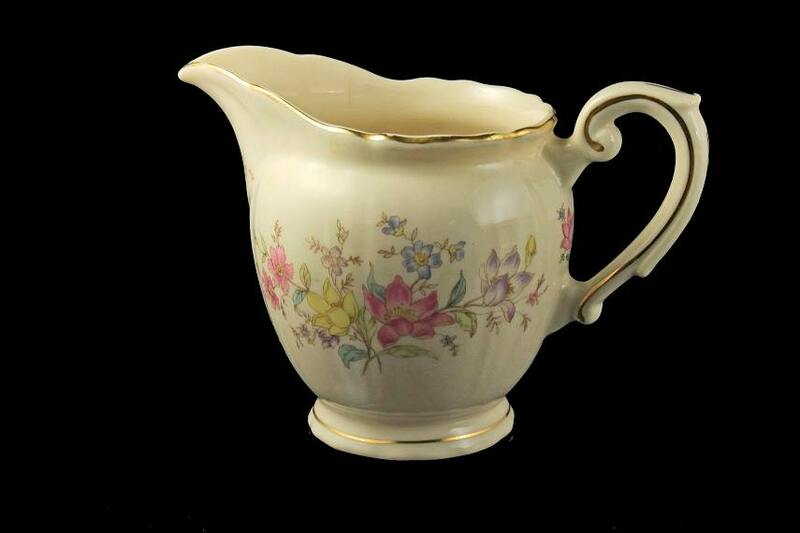 The pattern is called Briarcliff and it has a floral pattern on both sides of the creamer and on the spout. It has gold trim on the rim, foot, and handle. 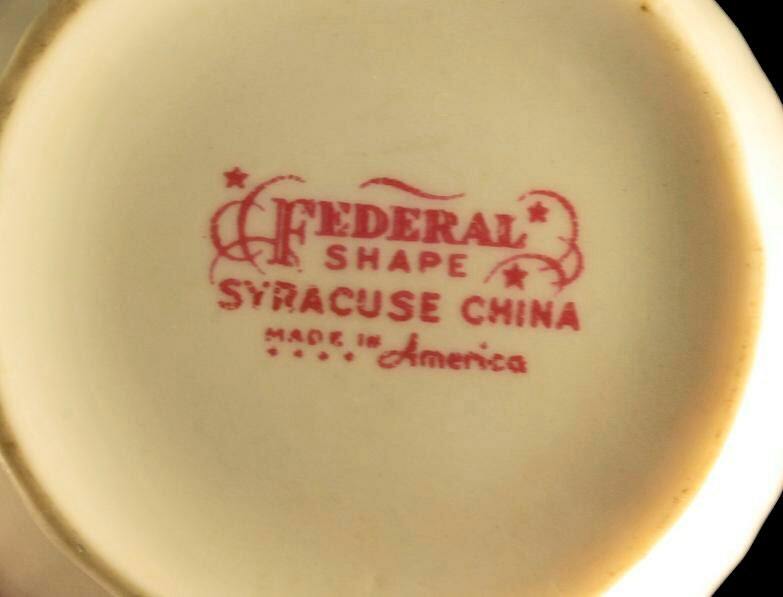 It is in the Federal Shape and is ivory colored. 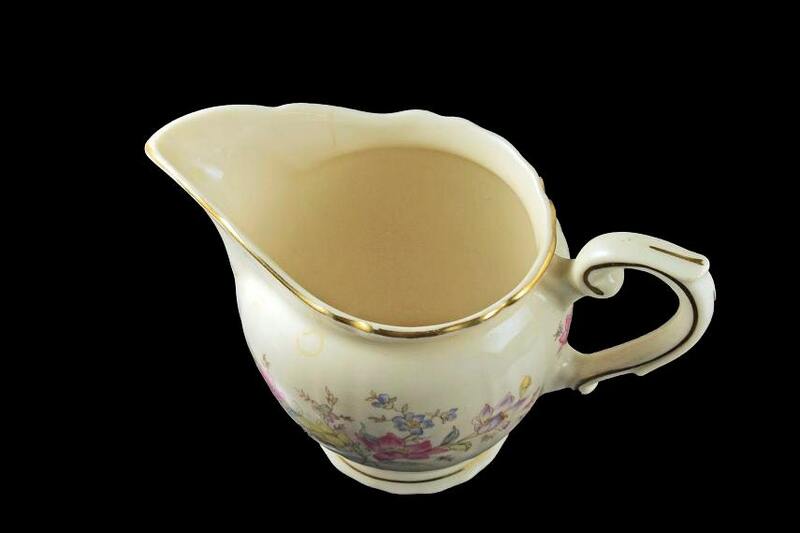 This would be a great small jug for cream, milk, or syrup. 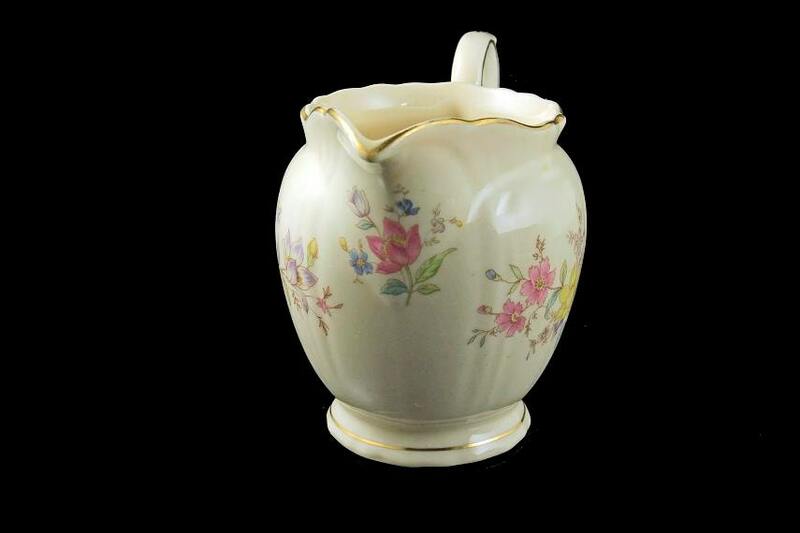 This creamer is in very good condition. It has one small hairline crack on the spout. Please see photos. There are no chips, cracks, or crazing.